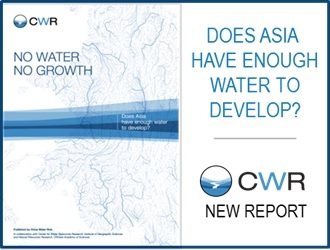 China, India and other countries in Asia face urgent water challenges and won’t have sufficient water to develop further while ensuring food and energy security, according to a new report we launched on 18 September 2018. Water from the 10 rivers is vital to the social and economic development of Asia, which has been following an unsustainable water-intensive and highly polluting export-led consumption growth model in recent decades, the report argues. To achieve a per capita GDP of over USD50,000, the US uses at least 1,543m³ of water per person per year, which is only 16% of its total annual renewable water resources of 9,538m³ per person. Yet China and India are only endowed with total annual renewable water resources of 2,018m³ per person and 1,458m³ per person respectively, the report says. Two of the worlds’ most populous countries will thus be faced with no choice but to create a new development paradigm if they want a future with water. The need to shift to “business unusual” is becoming more urgent as temperatures will continue to rise, exacerbating Asia’s water challenges. Increases in temperatures will double across six of the 10 basins in the next 50 years compared to the past 50 years, according to the report. At the same time, snowfall will continue to decline with future losses likely more than doubling for the Indus, Tarim and Ganges. While four out of the 10 rivers will see a reduction in river flow by 2055, more people will be flocking to the basins as many of the continent’s major cities and important economic hubs are located there. “For such an important area, we still lack enough response and action” said Professor Shaofeng Jia, the Deputy Director of the Center for Water Resources of the Chinese Academy of Sciences (CAS-IGSNRR), who provided technical support to the report, including the data collection, estimations and climate scenario modelling for the 10 river basins. The report says, however, that balancing food and energy security and shifting away from a largely agri and export-led driven growth model will likely cause disruptions with material implications for businesses and trade, not just for Asia, but globally. The impact is far-reaching. But this could be easier said than done as eight of the 10 HKH Rivers are transboundary. The 10 major rivers analysed in the report are: the Amu Darya, Brahmaputra, Ganges, Indus, Irrawaddy, Mekong, Salween, Tarim, Yangtze and Yellow Rivers. These flow through 16 countries, namely Afghanistan, Bangladesh, Bhutan, Cambodia, China, India, Kyrgyzstan, Laos, Myanmar, Nepal, Pakistan Tajikistan, Thailand, Turkmenistan, Uzbekistan and Vietnam. Decisions made by upper riparian countries will affect the others but bilateral/ multilateral agreements to ensure equitable use of shared water resources are still lacking. 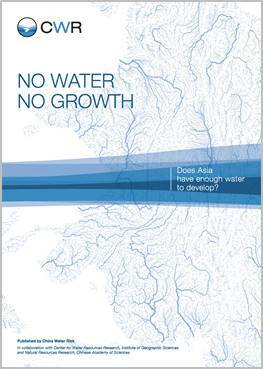 Still, the report suggests that China and India, which largely control the HKH headwaters, must take the lead in the Water-nomics conversation on regional economic cooperation and transboundary water issues. It’s time to move the conversation on water from ‘access to clean water’ to ‘Water-nomics’. Indeed, China has started transitioning its water-intensive and polluting industries toward a circular economy, promoting Made in China 2025 and trade through the ambitious Belt & Road Initiative. “Through their analysis, CWR makes a powerful case for policy makers, water managers, businesses and project financiers to address interdependencies surrounding water” said water laureate Jeremy Bird, the former Director General of the International Water Management Institute, who also chaired the Mekong River Commission.